Today’s art comes from an interview with Allie Keeler. Allie is an amazing woman, and I really hope her story inspires you today. For the last few years leading up to when I finally made the choice to Transition, in my denial I tried to mask my feelings of dysphoria with embracing a hyper-masculine bodybuilder “bro” lifestyle. I got into supplements of every kind, sucked down several protein shakes a day, spent hours in the gym pumping iron almost daily and following all of the people in the industry. I had never really felt that I belonged anywhere in my life but I hoped that if I tried hard enough, I could find a place for myself in this subculture of barbells, pills, chicken, rice, and calloused hands. I had consciously struggled with my gender identity since I was a teen, and now in my thirties, in a last ditch effort to “fix myself” I hoped that I could find a way to force myself to “be a man”. As I finally reached my breaking point and regardless of hobbies or passions, I realized that transition had to take place in one way or another. Eventually discovered that while my motives for working-out were a coping mechanism; it was still something that I could use to find empowerment as a woman just as much as I had tried to use it to find masculinity. 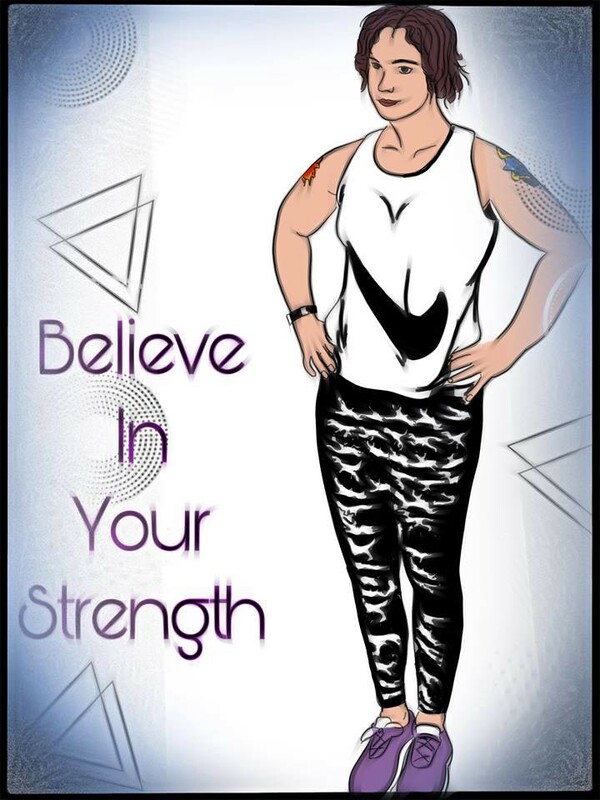 I am approaching a year and a half into transition, and while I am not into the bodybuilder lifestyle as before, I still am a powerlifter and avid gym goer. I pride myself on being “strong, not skinny”, and have come to enjoy being able to work towards breaking the stereotype that makes so many of my sisters feel as if in order to perceived as a valid woman, they discard anything associated with masculinity or strength, that they must be small, skinny, tiny, or even emaciated looking like so many women in magazines look. I hope that I can inspire others to push aside this mindset that so many in our community seem to feel is mandatory to be valid. I can still out-lift many men in my gym even without an abundance of Testosterone in my body and with Estrogen firmly in charge. I can still be more on the muscular side and still be feminine, and lastly while — of course — there are many kinds of strength, I can still be physically strong and be a woman. There is a cliche that so many Trans Women must be “hyper feminine” at all times in order to be accepted, but I have worked to buck that stereotype. I feel that by pursuing ALL the various types of strength that benefit us in our lives, I can be the very best version of myself. Of course that was the main reason for embarking on this journey in the first place. In our quests to be true to ourselves — to try to shove ourselves into perceived molds of society as they expect women to be — would be contrary to the whole purpose of this all. Especially for those of us transitioning later in life, we should not feel our validity hinges on giving up everything that gives us joy- however a hobby, interest, or career may be traditionally associated with maleness in order to be “true” women. I hope that I can encourage creative thought regarding this mindset. I have been striving to balance and blend elements of my old self with my freedom to express my vulnerability, emotions, and femininity and I hope that more people can appreciate strong women in this world.